After celebrating the regional fórums of intermediary cities in Odienné (Africa), Nevsehir (Middle East and West Asia), and Terrassa (Europe), the city of Cuenca, renowned for being an innovative city when it comes to local practices in Latin America, welcomes the Continental Forum of Intermediary Cities, which takes place from the 28th of February to the 2nd of March 2018. All of the regional forums which have taken place are part of a series of meetings where we shared and invigorated the experiences of implementing the SDGs in intermediary cities. The last stage will take place in Asia, before celebrating the World Forum of Intermediary Cities, where all these shared knowledges will come together in order to create common ground to make the SDGs a reality at the local level. The main challenges which intermediary cities face in order to implement the sustainable development goals will be addressed in three transversal issues during this event (citizen engagement, urban mobility and gender equality). 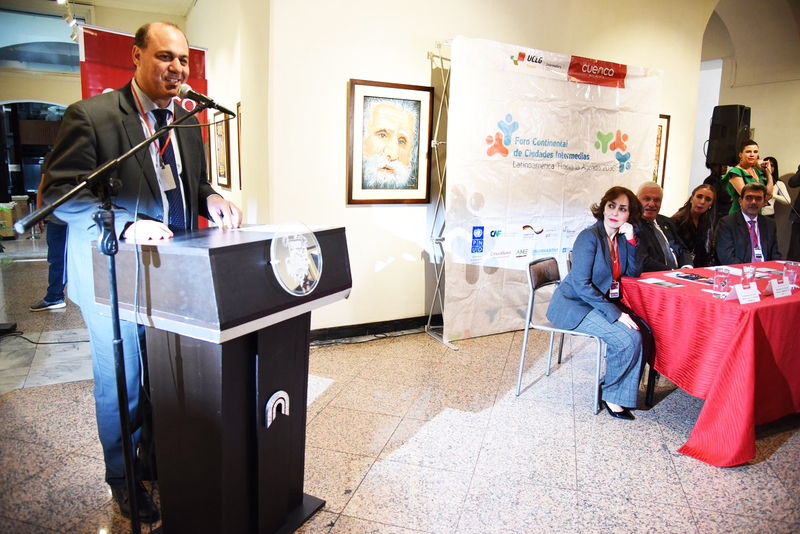 The opening ceremony took place on February 28th under the slogan “Towards Agenda 2030”, at the Cuenca City Salon, Ecuador. Mayor of Cuenca and Vice-President of the UCLG Forum of Intermediate Cities, Marcelo Cabrera, and Mayor of Chefchaouen and President of the UCLG Forum of Intermediate Cities, Mohamed Sefiani, who gave a warm welcome to the more tan 500 participants. 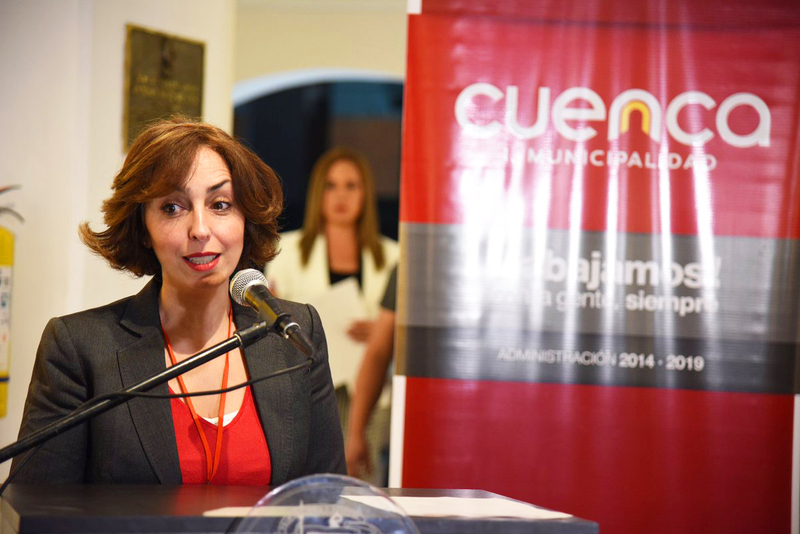 Mayor of Cuenca reminded the attendants that “Cuenca has been involved in the decision making processes of the new global development mechanisms since 2015 in which we were the thematic headquarters of the Conference previous to Habitat III with the meeting ‘Intermediary Cities. Urban growth and renovation’. Mohamed Sefiani thanked the support of the Cuenca local government for the celebration of this Continental Forum as work prior to the World Forum of Intermediary Cities which is bound to take place in Chefchaouen in July and reaffirmed that “from local governments we are working towards strengthening the running of intermediary cities, communities and neighborhoods in order to make a positive change on the citizens”. The Continental Forum of Intermediary Cities of Cuenca is a proposal from the network of local and regional governments with the support of the City of Cuenca local government in order to strengthen the participation of intermediary cities in the Global Agenda, with the celebration of several regional Fora. Intermediary cities (those with a population between 50,000 and 1,000,000 citizens) have the potential to face the variety of challenges that population growth entails and to implement the Sustainable Development Goals (SDGs) in their territory in a more strategic manner. In this sense, Firdaous Oussidhoum, coordinator of the UCLG Forum of Intermediary Cities stated that “intermediary cities are strategic in order to have a global and sustainable vision of the territory, and rethinking sustainability in order to place human beings at its core is necessary”. 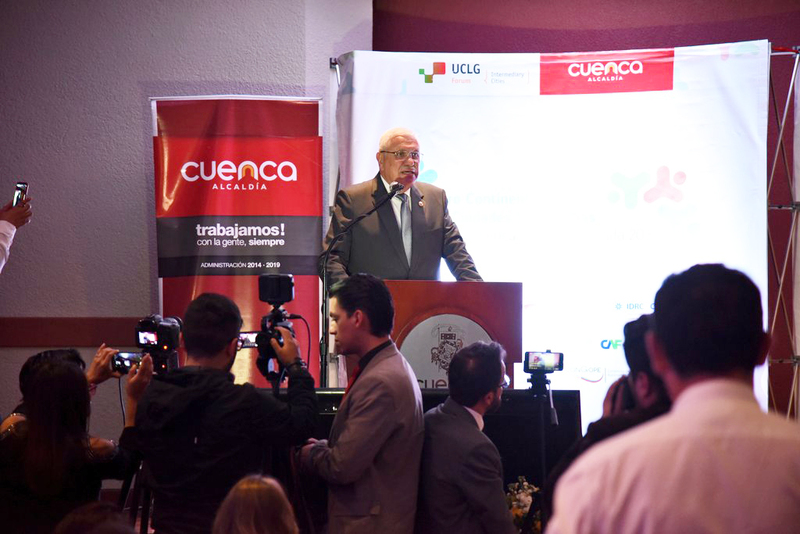 The support of the regional sections of UCLG in Latin America, Flacma and Mercociudades is key for developing working materials during this Continental Forum of Cuenca. The conclusions of these thematic meetings will be presented in the form of a statement which contemplates proposals of the local governments gathered in Cuenca and will be taken as a base to the first World Forum of Intermediary Cities in Chefchaouen from the 5th to the 7th of July 2018 where cities from all regions will gather. This declaration will need two days’ work and will be presented on the 2nd of March in the closing ceremony. The World Forum of Intermediary Cities of Chefchaouen will be an essential opportunity to claim for the relevance of local and regional governments in the implementation of global agendas at the local level, with a special emphasis on the role of intermediary cities. A change in the political agendas is needed in order to efficiently approach the challenges which intermediary cities face and in order to implement joint solutions to global issues such as creating more inclusive cities, with better urban mobility and with culture at the centre of the agenda.